Translucent rice paper displays the colors of the ingredients inside, making it as attractive as it is useful. Invented in China, rice paper today prevails in Vietnamese and Thai cuisine, where it is typically used for wraps. 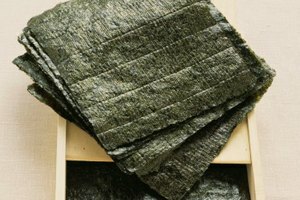 Made from rice flour and a starch, typically tapioca starch, rice paper is dry and stiff when purchased. The main obstacle to cooking with rice papers is folding and wrapping the delicate paper without tearing. Part of the appeal of rice paper is that it can be filled with practically any combination of ingredients. You might best recognize rice paper as the wrapper for spring rolls or summer rolls. Possible ingredients for traditional rice paper wraps include shrimp, salmon, ground pork, shredded cabbage, shredded carrots, bell peppers, leaf lettuce, matchstick-cut cucumbers and bean thread noodles, along with spices like mint, cilantro and Thai basil. Experiment with different combinations of these ingredients, or try other options like bean sprouts, shredded chicken, scallions and fresh or pickled ginger. Step outside the Asian tradition and try rice paper as a low-carb wrap alternative for your favorite sandwich ingredients, or fill it with fresh fruit like strawberries and bananas for dessert. Rice paper will easily crack if you attempt to roll them straight from the package. Soaking rehydrates the rice paper and softens the glue-like starch so you can fold and roll them easily. 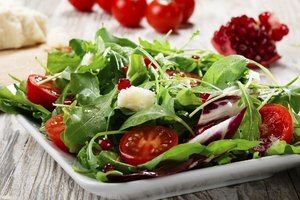 Fill a wide, shallow dish with tepid water. Soak the wrappers in the water, one at a time, for about 15 to 30 seconds. The wrappers are ready to use when they are soft and pliable, but don't leave them too long or they'll become too soft. 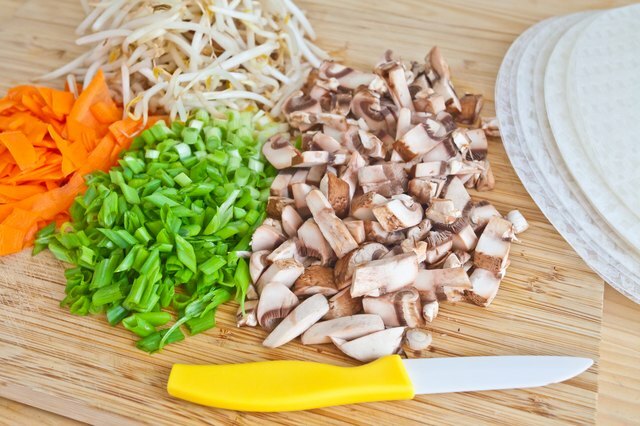 Layer your choice of ingredients along one side of the rice paper. 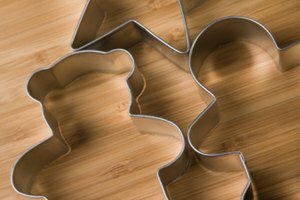 Fold the short side over the ingredients, tuck in the ends, and roll it into a cylinder. The wrapper sticks to itself as your roll, but it helps to press the edges with your finger. Work quickly, because the rice paper loses pliability within about two minutes. 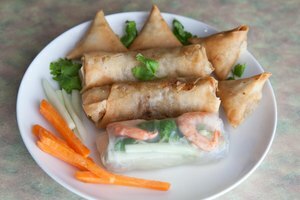 Spring rolls are typically deep fried to make the rice paper wrapping crisp and flaky. Preheat 2 to 2 1/2 inches of oil in a wok or deep skillet over medium-high heat. 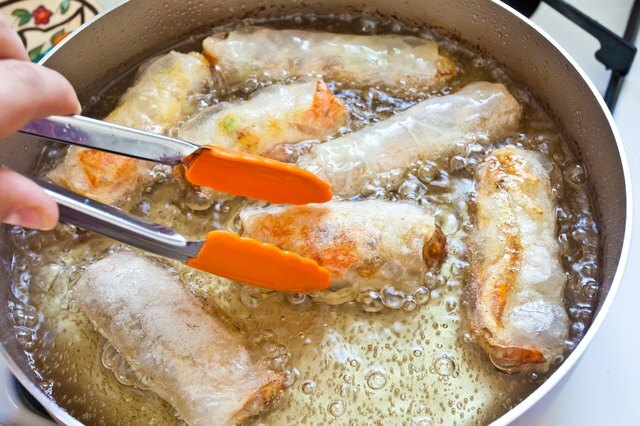 Add the wrapped spring rolls to the hot oil in a single layer, leaving space between each roll. Fry for about two minutes on each side or until the wrapper becomes crispy and golden brown. Drain on paper towels before serving. 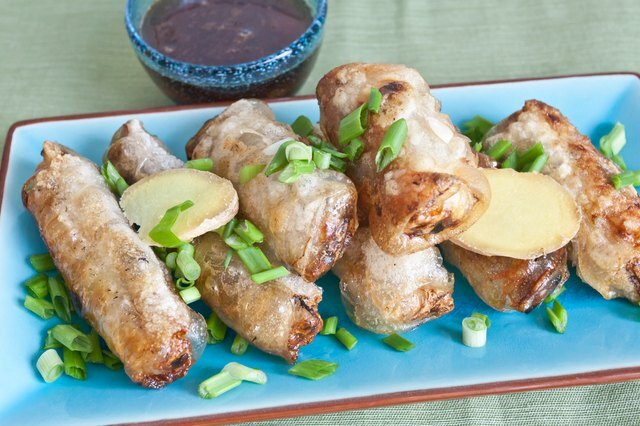 For a healthier alternative to deep-frying, try baking the rice paper wraps in the oven. Brush each with a bit of oil and place them on a baking tray, leaving space between each roll. 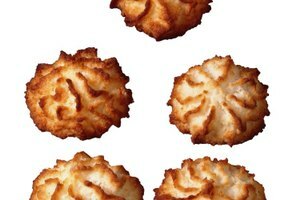 Bake for about 20 minutes at 375 degrees Fahrenheit, flipping to the other side after 10 minutes. 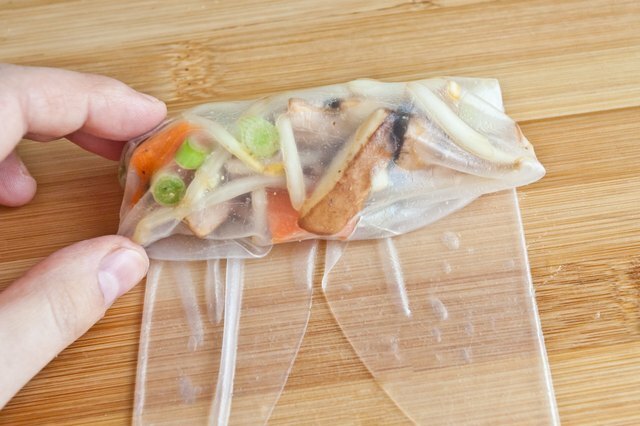 Rice paper can stand in for rice noodles when you don't have time to run to the store. 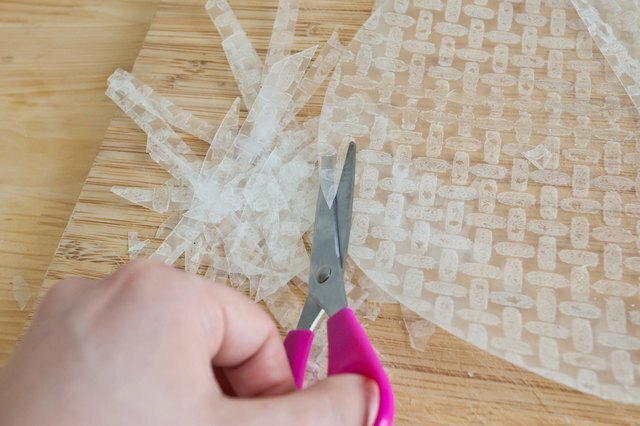 Cut dry rice paper into thin strips with a sharp kitchen knife or clean kitchen scissors. Drop the cut strips into boiling water for about two minutes or until soft and translucent. Drain the water through a colander. Toss the noodles immediately with 1 to 2 tablespoons of sesame oil or the starches will cause the noodles to stick together as the noodles cool. Cake decorators also use rice paper to make edible flowers for cakes, using techniques similar to making paper flowers. Images can be printed on rice paper with edible ink and placed directly on a cake.